With so many local swimming holes to choose from, your only problem is choosing which to go to first. So pack a cooler of food, grab your towels and rub in the sunscreen. 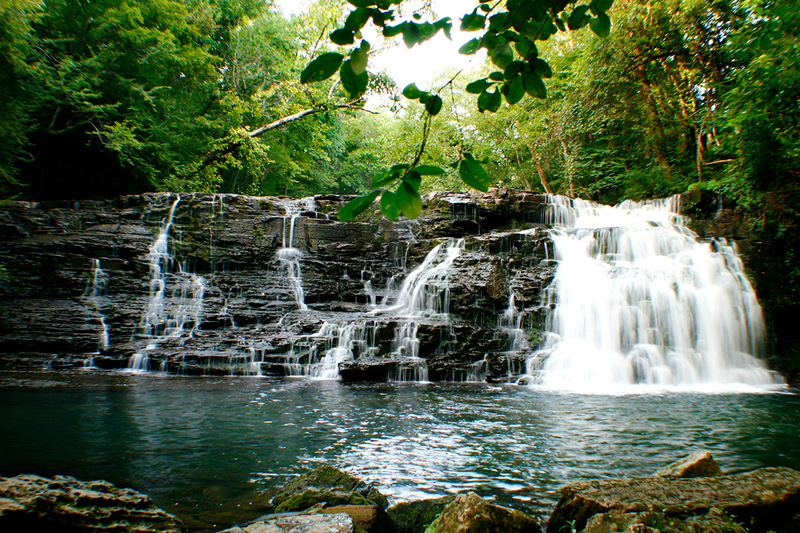 Here are seven swimming holes in Tennessee that every family should visit during the summer season. You’ll find several cool, crisp pools amid Fall Creek Falls State Park’s 26,000 acres of forests, waterfalls and gorges. Bring an inflatable raft and a picnic-style lunch to enjoy under the shade of this area’s tall, leafy trees. Learn more at Tennessee State Parks. Can’t seem to cool off? Even on the hottest days, the waters near the Townsend entrance of the Smoky Mountains National Park stay nice and refreshing. Splash around for the day or embark on a lazy tubing excursion — there are several local tube rental shops nearby. Learn more at Inside Townsend. Nestled on the Blackburn Fork State Scenic River, this idyllic swimming spot boasts a 75-foot waterfall that’s been a favorite among locals for more than 100 years. Because reaching the cold-water pool requires a slippery hike through ankle-deep water, it’s better suited for families with older kids. Learn more at Tennessee State Parks. Wade into a clear, refreshing pool fed by a 50-foot waterfall in the south-central region of Tennessee. The area surrounding Rutledge Falls is privately owned, but the owner allows free access from dawn to dusk. Learn more at Tennessee Vacation. Chill out in the lagoon of this picturesque, spring-fed creek that caters to families of all ages. The Magnolia Bridge swimming hole has a shallow area for little ones who are just starting to get their feet wet, plus a deeper area and rope swing for older, more adventurous kids. Learn more at SwimmingHoles.info. Take your pick of three public swimming areas that run along two miles of beaches in this Southwestern Tennessee state park. You’ll find Circle Beach and Sandy Beach in the park’s day-use area, as well as a third beach that sits across the lake in the Bruton Branch primitive area. After working up an appetite in the water, head over to The Captain’s Galley, the Pickwick Landing restaurant where children under 6 eat for free. Learn more at Tennessee State Parks. This off-the-beaten-path swimming hole sits under the Blue Hole Bridge on the edge of the Buffalo River. Wade in the water, rent a canoe to float down the river or take advantage of the Buffalo River Camping Site. It’s pure family summer fun, Tennessee-style. Learn more at SwimmingHoles.info. As far as summer fun goes, exploring the natural beauty of swimming holes in Tennessee really is hard to beat. Where will you dive in? I went to magnolia bridge today. Not impressed.! I’m from Mcewen and we have much better swimming holes than this one.l!